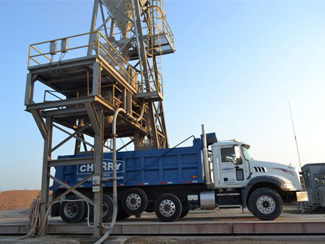 As the Gulf Coast’s largest privately owned producer of stabilized material, Cherry can produce any specified mix of stabilized material. These stabilized materials can be used in everything from TXDOT-specified highway projects to municipal and private water, sewer and drainage jobs. Since 1952, our professional and knowledgeable teams offer competitive pricing and technical information, such as Sieve Analysis, Material Safety Data Sheets (MSDS) and submittal packages, for all your project needs. Our “One-Stop Shop” motto means that all your stabilized product needs are at these locations.